To some, Romeo & Juliet is a story of two teenagers blinded by lust and driven to unspeakable acts, yet at its heart, it is a love story that transcends age and time. In Half Shadow Players’ production of Star-Cross’d, directors Lizzy Ferdinandi and Jessica Gaupel (who also co-founded the company) combine haunting contemporary music with Shakespeare’s text to create a 50-minute movement-oriented retelling of the classic love story. With opening night only a week away, Jessica Gaupel tells how she and Ferdinandi were inspired to create this production. Jessica, how did you decide on R&J as your source material? And it just snow-balled from there. We immediately had different images and songs that came to mind. It surprised us how well the two fit together. Why Florence and the Machine? There’s this wonderful theatricality in their body of work that I think really excites and inspires us as artists. I’ve always been really inspired by music and she’s great at putting an image in your head. She writes songs you can see and that’s extraordinary to work with, especially for a movement piece. She also writes from a really authentic, vulnerable place. It cost her something to write the songs and that’s something to strive for as an artist. It’s rich and full of possibilities. Did you always know you wanted to produce the show at the Fringe Festival? We’ve been good friends for about five years and we both really respect each other as artists. We had a great time throwing around ideas together and we’d frequently catch ourselves being on the same wavelength. Once we figured out a solid concept and agreed that we really wanted to do this, the Hollywood Fringe Festival just seemed like the natural place to produce it. Why do you think it will appeal to a Fringe audience? One thing we really love about Fringe is how it’s a huge playground for any kind of theatre artist. Artists from all over get a chance to put up their original plays, their adaptations, their one-person shows, with no rules. 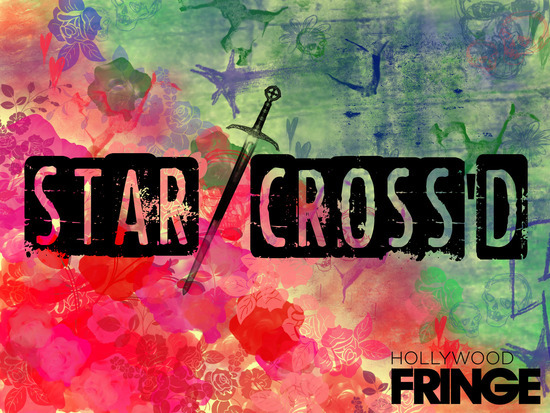 I think the Fringe audience is excited by that rule-breaking and that’s what we’re doing with Star-Cross’d. When you study Shakespeare, he’s the one playwright your instructors tell you ‘it’s all about the words’ but we’re taking the text away almost completely. We have a few lines here and there but we’re going straight for the action of the play, with the text being represented through the actors’ movements. It’s a daring way to tell this story and I don’t think I’m wrong when I say Fringers appreciate risky theatre. I think seeing Romeo & Juliet without hearing ‘A rose by any other name…’ and ‘Juliet is the Sun…’ can catch people off guard. When you see a production of it, a lot of people anticipate hearing those really iconic speeches. Our hope is that the lack of text will be a pleasant surprise. After all, you still get your balcony scene, but it’s the balcony scene like you’ve never seen the balcony scene before. Where did you find the talent for the show? Something Lizzy and I take real pride in is our cast. We have an ensemble of fourteen talented actors, all of whom are current students or alumni from CSU Long Beach. Some have been dancing for years and others are just great movers. We’re so grateful for all the care, attention, and joy they bring into the rehearsal room. They’re also an extremely diverse bunch. Our Romeo (Victor Davila) and Juliet (Jocelyn Sanchez) are both Latino actors. It was really important for us to have a cast that was just as diverse as California is. Representation is essential and something we really strive for as a company. The cast also includes Jamiel Abdelrazzaq (Capulet), Ebony Randell (Lady Capulet), Federico Cruz (Montague), Taylor Casas (Lady Montague), Mark Valllejo (Tybalt), Kate Brogan (Benvolio), Izzy Powe (Prince), Christopher Bearden (Mercutio), Ralphie Bracamontes (Friar Lawrence/Paris), Suzannah Gratz, Carolina Montenegro (Chorus), and Deon L. Jones (Chorus). 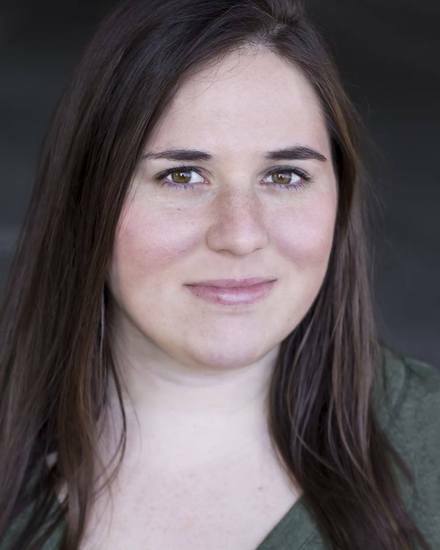 The Half-Shadow Players is a new theatre company formed by CSULB Theatre Alumni Lizzy Ferdinandi and Jessica Gaupel. It’s their hope to bring diverse, edgy, and authentic new works to Southern California. Debuting with Star-Cross’d, they work primarily in movement and dance to cast new light on classical texts.